What are the ethical cases used in the Ethics Bowl? How does an Ethics Bowl match work? An ethics bowl is a competitive yet collaborative event in which students discuss timely real-life ethical issues. In each round of competition, teams take turns analyzing ethical cases and responding to questions and comments from another team and a panel of three judges. An ethics bowl differs from a debate competition in that students are not assigned opposing views; rather, they defend whichever position they think is correct, provide each other with constructive criticism, and win by demonstrating that they have thought rigorously and systematically about the cases and engaged respectfully and supportively with all participants. 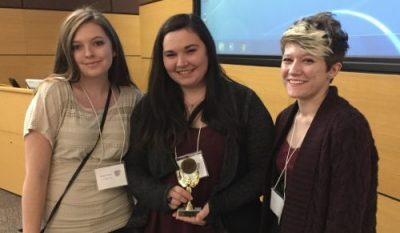 The winners of the Arkansas High School Ethics Bowl go on to compete in the National High School Ethics Bowl (NHSEB), hosted at UNC-Chapel Hill every year. Data from NHSEB surveys show that the ethics bowl teaches and promotes ethical awareness, critical thinking, civil discourse, civic engagement, and an appreciation for multiple points of view in students. Teachers also believe students involved in ethics bowl have improved standardized test scores compared to non-participating students. For more information, visit the National High School Ethics Bowl website here. The cases used in each year’s Regional High School Ethics Bowls (including the Arkansas HSEB) are written by the National High School Ethics Bowl Case Committee and cover a wide range of ethical topics drawn from current events and real-life situations. You can find the regional case set for the 2018-2019 season here. The Arkansas HSEB organizers have narrowed the list of possible cases for the 2019 Arkansas bowl to include only the following cases from the regional set: 3, 4, 6, 7, 8, 10, 12, 13, and 15 – six of these nine cases will be used in the competition on February 2. A match consists of two rounds. In the first round, the moderator will announce the case for the round and copies will be distributed to the teams and judges (neither will know ahead of time which case was assigned to the round). The first team (determined before the round by coin flip) will be given a question by the moderator and, after a brief conferral period, will have 5 minutes 6 minutes to present an answer. The second team then has 3 minutes to comment on the first team’s presentation, after which the first team has 3 minutes to reply to the second team’s commentary. The panel of judges then has up to 10 minutes to ask the first team questions. In the second round, a new case is announced and the same format is followed with the two teams in opposite roles. The Arkansas High School Ethics Bowl consists of three matches (or six rounds). Matches take place simultaneously, and the same cases and questions are used for each round happening at the same time (i.e., every team presenting in Match 1, Round 1 will answer the same question on the same case, and so on for subsequent rounds and matches). Judges are given a detailed set of criteria to use when evaluating the performance of both teams in a match. Judges’ scores are divided into categories addressing a team’s initial presentation, commentary on the opposing team’s presentation, response to commentary, response to judges’ questions, and overall respectful dialogue. This Scoring Criteria sheet explains the details and point ranges of each scoring category, and this list of Rules and Guidelines for Judges further explains how judges are asked to evaluate teams’ performances. High school students between 9th and 12th grade—whether in public, private, charter, magnet, independent, dual enrollment, or home schools—can participate in a team at the High School Ethics Bowl. Teams are composed of at least three students, with no more than five students on a team participating in any one match. High school teachers usually serve as the coach or team advisor. It is permissible for parents or others to coach a team if approved by the high school administration. Other participants include judges, moderators, and general event volunteers. These roles can be fulfilled by community members and local professionals as well as faculty and graduate and undergraduate students from nearby colleges and universities. The registration deadline for the 2019 Arkansas High School Ethics Bowl is November 30. If you have a group of students that is interested in participating, please contact the bowl organizers (contact info is below). All participating schools need to register both with the UA Little Rock Department of Philosophy and Interdisciplinary Studies and with the National High School Ethics Bowl organization.